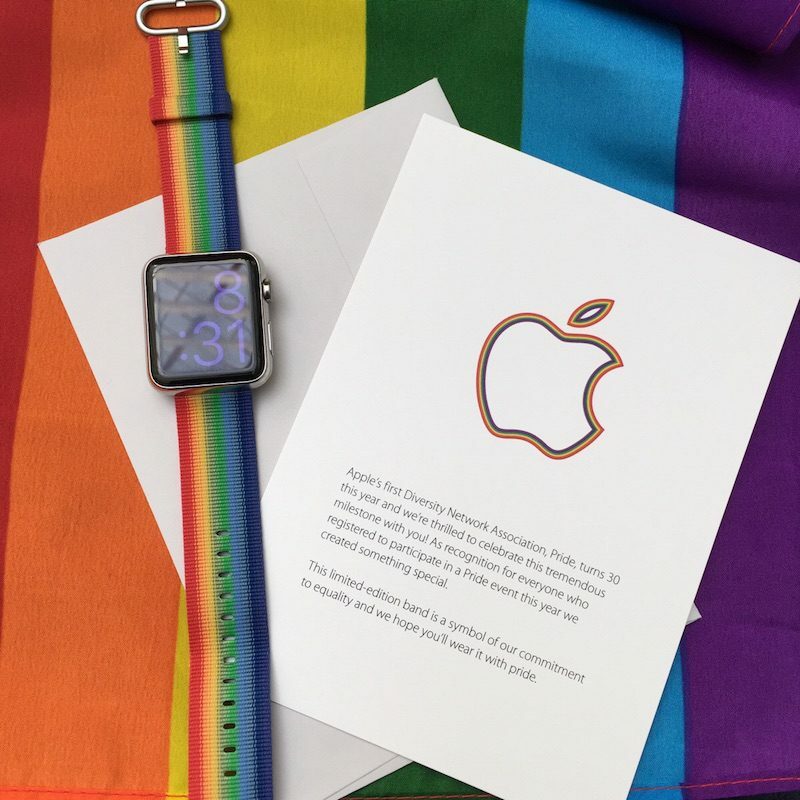 Apple helped celebrate equality at the LGBT Pride festival in San Francisco yesterday and thanked employees who registered to take part in the event by gifting them a limited edition rainbow Apple Watch band. Apple's first Diversity Network Association, Pride, turns 30 this year and we're thrilled to celebrate this tremendous milestone with you! As recognition for everyone who registered to participate in the Pride event this year we created something special. This limited-edition band is a symbol of our commitment to equality and we hope you'll wear it with pride. Apple staff including CEO Tim Cook joined the annual parade on Sunday as a mark of the company's continuing support for equality and diversity, with many employees taking to social media to show off the colorful bands. Sadly, there's no indication that Apple plans to include the nylon rainbow bands in its official Watch accessory range.